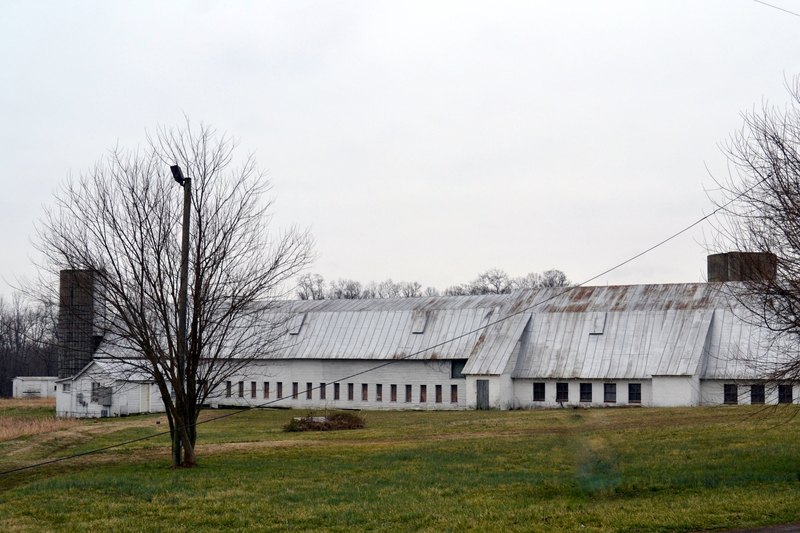 Today’s featured barn was one we saw on our trip to Sperryville a couple of weeks ago. I’m sorry I didn’t make note of what town it was near. This is a HUGE barn. It was difficult for us to really get a good picture of it from the highway. We didn’t want to trespass. I’m sure my fellow barn charmers can identify with this predicament. That is colossal! Still good job capturing its size. WOW…that is a big barn….somebody has quite a farming/livestock operation going on. Wonder if all those little windows are horse stalls? It’s certainly LARGE, whatever its purpose may be! Huge barn! Love to know what is in there. All those windows! Good Morning Dianna! Oh my gosh, that is one huge barn! I’d love to see the inside of it! Wow, that’s probably the largest barn I remember seeing! I agree with Cheryl – I’d love to see inside it! Looks like a huge dairy barn! Did you see any cows? Maybe it was a dairy! So interesting that a barn would be this big. Wow! That is HUGE! But cool! gorgeous diana, what a find. often, if i knock before i trespass, i am received very warmly. several times i was offered a tour. do it, it’s def worth it for us barn lovers!! really is a great big one! Impressive barn … was it a cold day? It sure looks like it from the pics ! Yes – I’ve had the same trouble. That is one big barn! I second itsallabout purple—I have found many people are delighted to open their property to my camera—-as long as I ask. Woe, that’s one humongous barn. Your photos turned out really good even though you wasn’t able to stop for them. Well done! 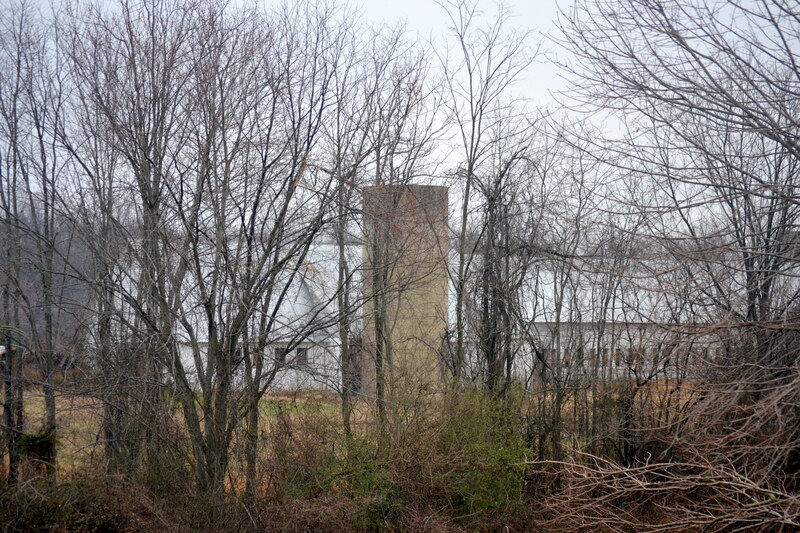 Wow, that is a huge old barn…. Great picture! 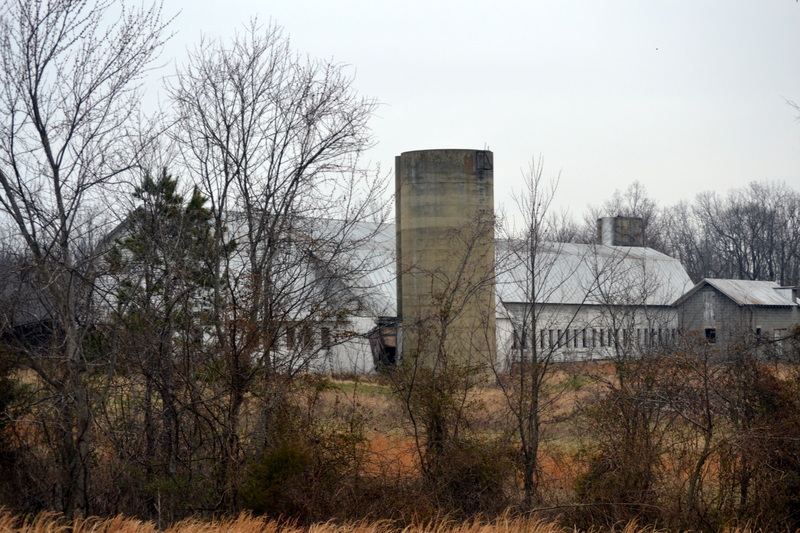 Could you tell if the barn was still used for livestock? We really couldn’t get close enough to it to tell if it’s still in use. It appeared to be in good condition, but we didn’t see any cows nearby; perhaps they were out in a pasture..? Wow. That’s some barn! Dairy maybe?? Close are not good pictures of a H U G H barn!! a really big barn, indeed, looks like it goes on forever! WoW!